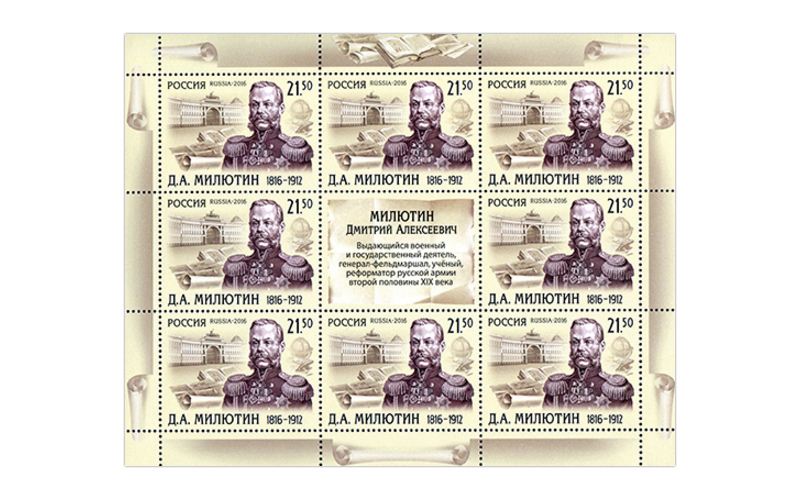 Count Dmitry Alekseyevich Milyutin (1816–1912) was a Russian military historian and theorist, Minister for War (1861–1881) and the main mastermind of the 1860s military reform. He was born in 1816 in Moscow. He graduated from the Moscow University Boarding School and became an officer of the guard artillery. In 1835, he enrolled into the Imperial Military Academy. 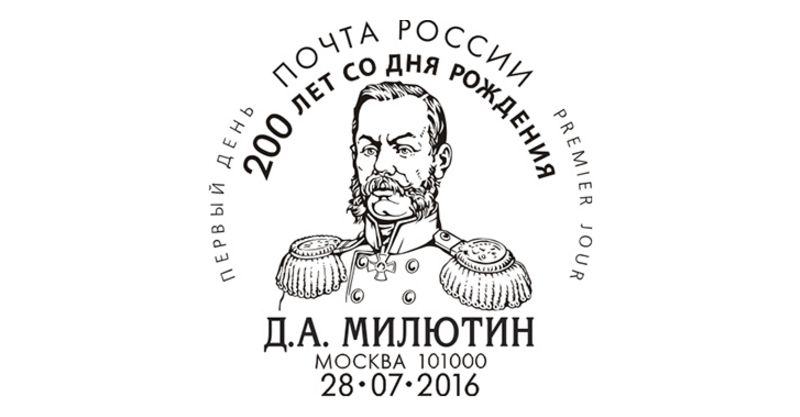 In 1856, Dmitry Milyutin was appointed the Head of the General Headquarters of the Caucasus Army. In November 1861, he assumed office of the Minister for War and became an infantry general in 1866. In 1898, Nicholas II made Milyutin a Field Marshall General. 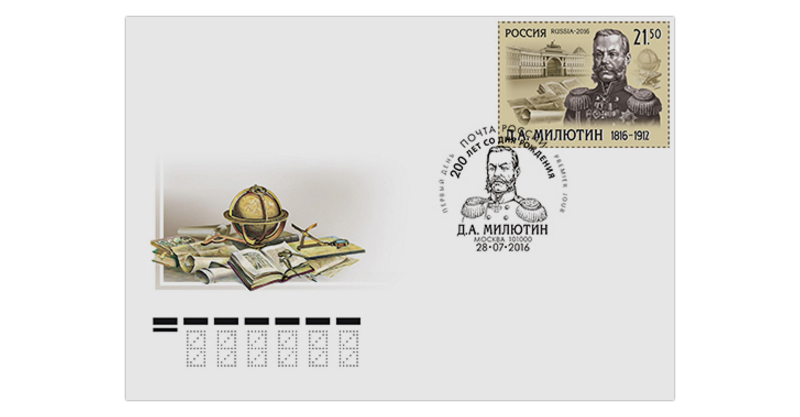 When reforming the Russian Army, Dmitry Milyutin achieved reduction of the length of general service from 25 to 16 years, abolishment of corporal punishment, took measures to improve life conditions of soldiers and to teach them reading and writing. He substituted recruitment with compulsory service for all classes, created a system of military districts and perfected command and control of troops at times of war. Under Milyutin’s leadership, junker colleges, office hours and other forms of army communities were instituted; military justice reforms were implemented. 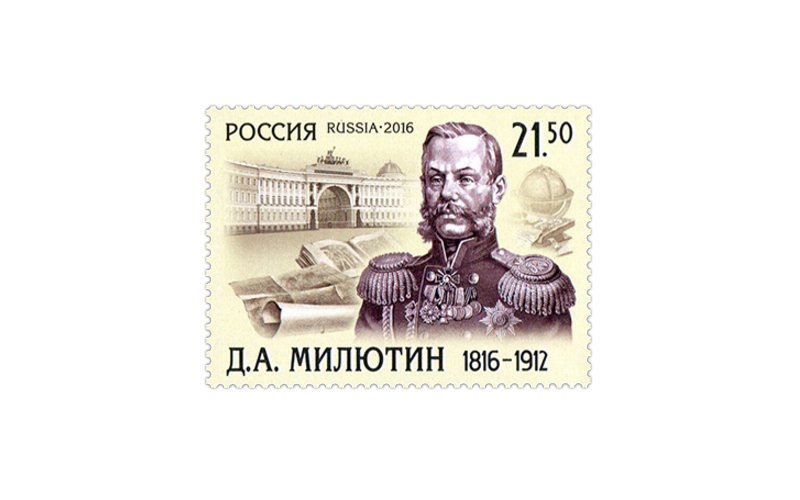 The postage stamp features a portrait of Dmitry Milyutin against the background of the General Staff Building in St Petersburg.